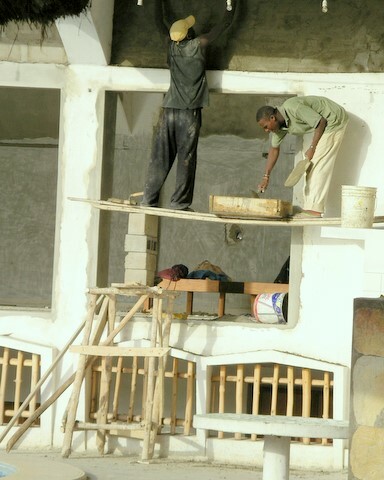 Adventures in West Africa with Rob & Lois » Blog Archive » Health and Safety African Style!!! Health and Safety African Style!!! A home-made wooden stand, four breeze blocks and a couple of planks of wood – just the job! We watched them for quite a while and you’ll be glad to know that nobody fell off! Thanks to Jackie for taking this excellent photo.